Crystal Lake, in the Big Snowy Mountains south of Lewistown, will not be stocked with fish during the 2018 season. The lake typically receives 1,000 to 2,000, 12-inch rainbow trout to provide a recreational fishery during the summer season. 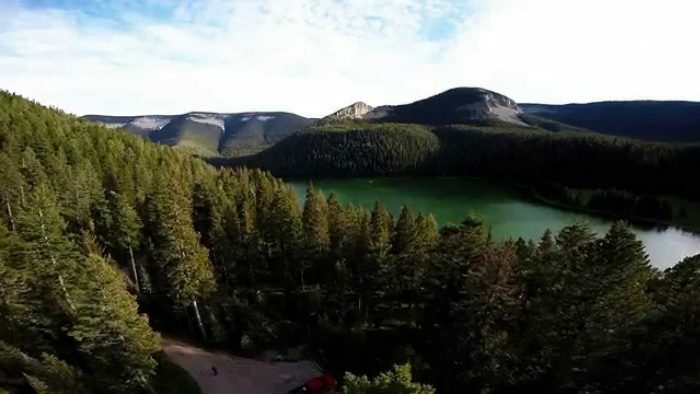 However, because of the lake’s late opening from weather and hazard tree removal operations by the U.S. Forest Service the period of use would be four to six weeks. And state hatcheries could only supply 8-inch trout, which would not have enough time to grow. Crystal Lake is a put-and-take fishery. Put-and-take fisheries take place where conditions are not conducive to the extended survival of stocked fish. In Crystal Lake, fish do not survive through the winter. The lake is not deep enough to provide adequate overwintering habitat. Given these factors, FWP has determined it’s not a wise use of limited hatchery resources to stock Crystal Lake with a few hundred, 8-inch trout that would be used only for a few weeks. Stocking of Crystal Lake should resume in 2019. For more information, contact Clint Smith, Lewistown Area Fisheries Biologist, (406) 538-2445, or clsmith@mt.gov.